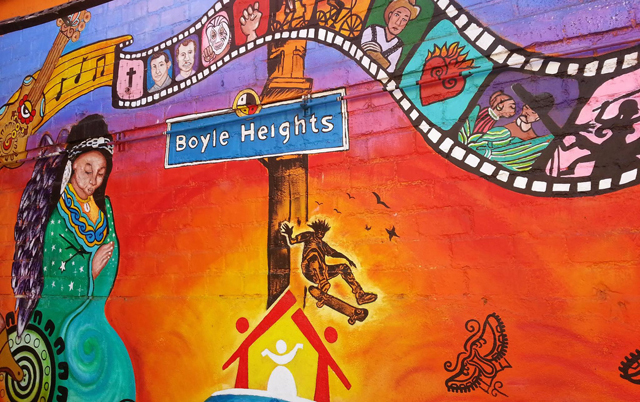 The Grace Brethren Church, Norwalk, Calif., is focused on reaching nearby Boyle Heights with the gospel. Pastor Jeff Patton recently posted this update on his Facebook page and it is shared here with his permission. He credits God for this report and notes that much of the work was done by Vet Gonzalez and his wife, Jennifer, who lead their Outreach Commission with help from Robert Kimsey and Ron Muir, who is an elder at the church. God is good! A great initial outreach to get started in the neighborhood. What did we learn? Proverbs 16:9 says, “In his heart a man plans his course, but the LORD determines his steps.” Ministry on the fly! We had 18 folks from our Norwalk GBC travel to Hollenbeck Park. Many of the ladies prepared a craft and Bible lesson to share with children (in the presence of the their parents) and 3 children made first time decisions to trust Christ for eternal life. We also pitched a prayer tent for folks to come and ask for prayer and we prayed with them. At the prayer tent, 1 man made a first time decision to trust Christ for eternal life. 4 salvations in one afternoon! So now we have decided in order to develop a permanent relationship with the people of BH we will go twice a month in two different teams for an outreach event. And we are fervently praying for God to open the way for us to begin a Bible study somewhere in BH: the park, a home, McDonalds, we don’t care where! Our current prayer requests: 1) That these 4 new Christians would be guided to a church or group for sound biblical discipleship and fellowship with other believers (we are doing our best to connect them); 2) That God would open the way for a permanent, weekly Bible Study in BH for those coming to salvation and those Christians there who are looking for sound teaching and fellowship (there is a tremendous lack of sound, biblical teaching in BH); 3) That God would clearly guide our next steps, our next semimonthly event. 4) That God would continue to call out His own children to salvation in BH. Current Praises: For 4 new members of God’s Kingdom! For tremendous unity and organization by our Outreach Team, Leaders, and Support. That this outreach was an opportunity for a week-long concert of prayer for our entire church. That our entire body has been deeply encouraged that God is still building His Church today and encouraged and motivated by the bold commitment of our BH outreach team. That so many in our congregation have been “FISHing” (be FRIENDLY, INITIATE conversations, let people SHARE their story, and always give HOPE from Christ and the Gospel). Connect with Pastor Jeff Patton and this outreach in Los Angeles. Send him a note of encouragement at jefflisapatton@yahoo.com.